The incineration of waste results in the formation of a mixture of gases containing pollutants such as carbon dioxide, sulphur dioxide, dust, as well as nitrogen oxides, heavy metal bearing fumes and unburned hydrocarbons. These pollutants can be removed from the flue gases by using the flue gas cleaning systems so that harmful substances are no longer discharged into the atmosphere. Selective non-catalytic reduction (SNCR) is a method to lessen nitrogen oxide emissions in conventional power plants that burn biomass, waste and coal. 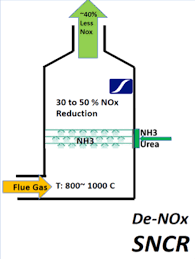 The process involves injecting either ammonia or urea into the firebox of the boiler at a location where the flue gas is between 1,400 and 2,000 °F (760 and 1,090 °C) to react with the nitrogen oxides formed in the combustion process. The resulting product of the chemical redox reaction is molecular nitrogen (N2), carbon dioxide (CO2), and water (H2O). A bag filter (BF) or fabric filter (FF) or mesh filter is an air pollution control device that removes particulates out of the combustion gasses immediately before the gasses are released to the flue. Unlike electrostatic precipitators, where performance may vary significantly depending on process and electrical conditions, functioning baghouses typically have a particulate collection efficiency of 99% or better, even when particle size is very small. Most bag filters use long, cylindrical bags (or tubes) made of woven or felted fabric as a filter medium. 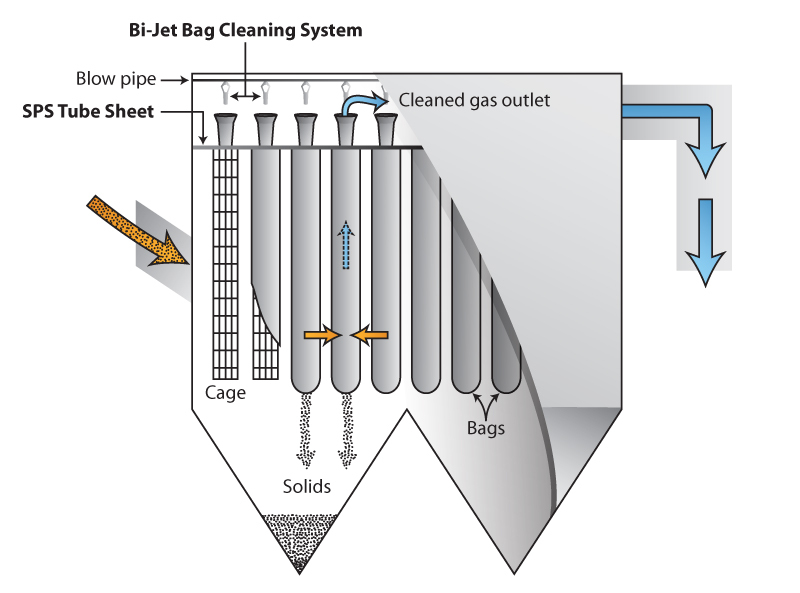 Dust-laden gas or air enters the filter housing and the gas is drawn through the bags, either on the inside or the outside depending on cleaning method, and a layer of dust accumulates on the filter media surface until air can no longer move through it. When sufficient pressure drop (delta P) occurs, the cleaning process begins. Cleaning can take place while the filter is online (filtering) or is offline (in isolation). When the compartment is clean, normal filtering resumes. 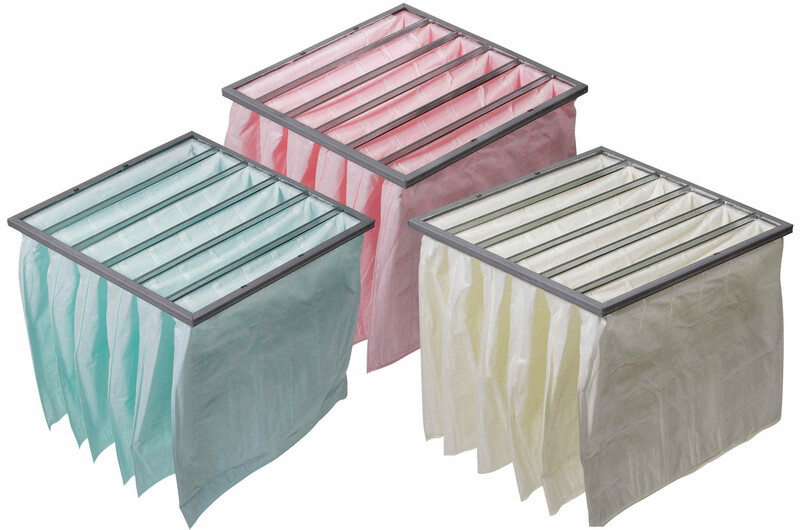 Bag filters are very efficient particulate collectors because of the dust cake formed on the surface of the bags. 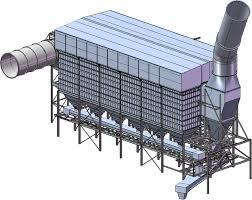 Lime is injected into the flue gas immediately before or directly into the filter itself. The lime needs time to react with the SOx so an oversized filter is required to slow the gas velocity down sufficiently. SNCR: Urea requires a compressor to aid delivery into the combustion chamber.Urea must be contained in a bunded tank on site. SNCR: Urea requires a compressor to aid delivery into the combustion chamber. 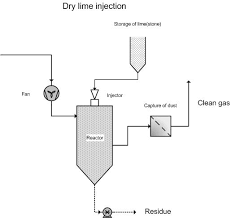 Lime: Bought and stored as a powder and generally stored in a container fixed to the filter. Annual maintenance plans tailored to suit you.